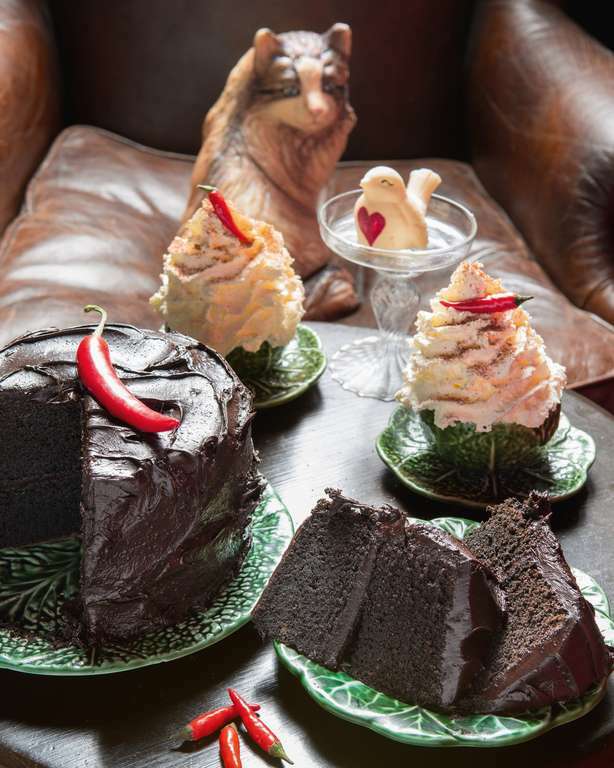 Wow your friends with this rich and sumptuous Chilli Chocolate Cake from Choccywoccydoodah. 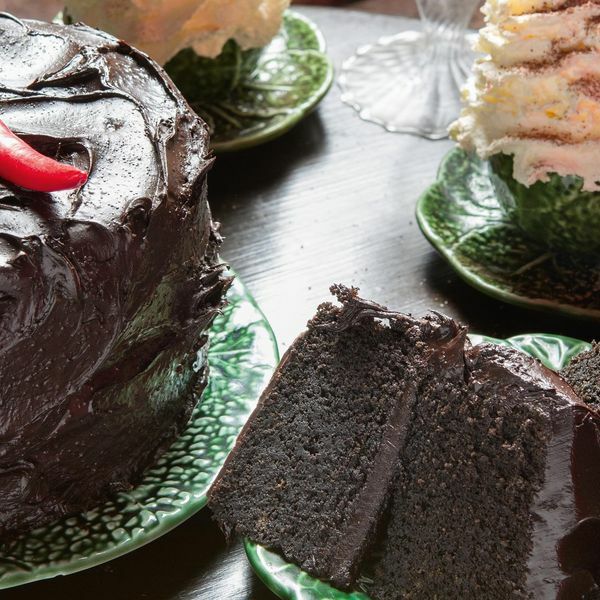 The heat from the chilli provides an irresistible warmth to the chocolate sponge. 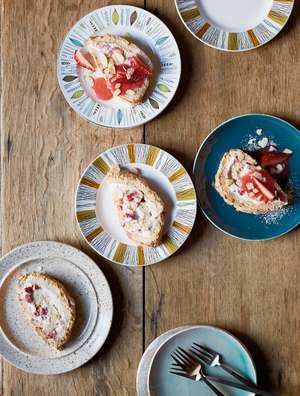 This is a straightforward recipe if you make cakes already. A good one to start with if you don’t. 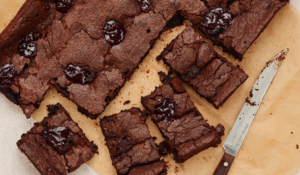 The cake should have heat that emerges after you’ve eaten it, so don’t be tempted to add more chilli for impact. It’s delicious, not frightening. You will need two 15cm-round sandwich cake tins. Grease and line two 15cm-round sandwich cake tins with greaseproof paper. Preheat the oven to 170°C/150°C fan oven/325°F/gas mark 3½. 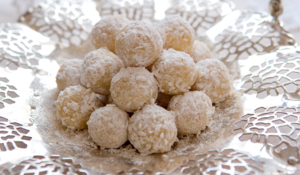 Cream the butter and sugar together in a bowl until fluffy. Beat in the eggs with the ground almonds. 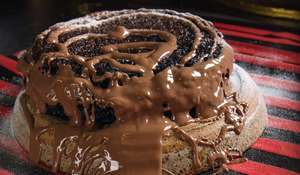 Stir in the melted chocolate, then sift over the flour, baking powder, cocoa and chilli. Fold carefully into the chocolatey mixture. Finally, fold in the whipped cream. Divide the mixture evenly between the sandwich tins. 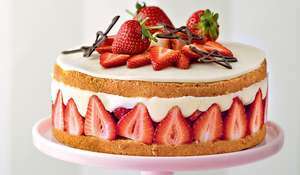 Bake for 15–20 minutes, or until the top feels bouncy when touched lightly.The cake should be sticky. Leave to stand in the tins for 15 minutes to cool, then tip out onto a wire rack and cool completely. Make the topping and filling once the cake is completely cool. Break the chocolate into pieces and put in a heavy bottomed pan with the cream. Heat gently and stir together until the chocolate has melted and the mixture is starting to thicken. Remove from the heat and cool slightly.The best way to do this is to spoon it into a clean bowl.Add the butter, a knob at a time, and beat in. Use half to fill the cake and the other half to top the cake. Dust with icing sugar and top with the fresh chilli. This final touch acts as both decoration and warning. Store dry and airtight. 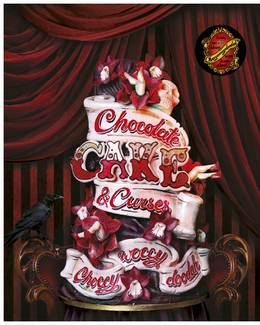 Chocolate Cake & Curses from Choccywoccydoodah. 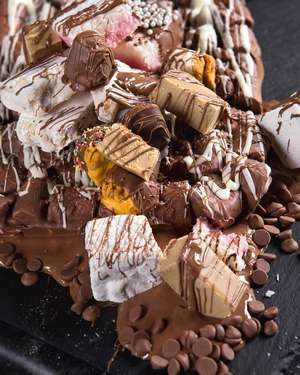 The legendary chocolate geniuses that are Choccywoccydoodah give you a taste of some of their most loved recipes in the extraordinary cookbook.